Whatever, if you have a Nexus 6, Samsung Galaxy S7 or HTC One M10, sooner or later you'll find yourself having to deal with the USB drivers. And you need to install the proper driver on your computer so the phone can be recognized. These blessed drivers do not need anything else but to make a connection between computers and Android phone via USB cable. Before you connect your Android device to your computer simply I recommend you to enable USB debugging mode on your Android Smartphone: To do this simply go to the Settings -> About phone -> Developer options and put a checkmark or toggle on "USB Debugging". Once that is done, it is time to install the Android driver on your PC. In addition, simply connect your device with USB cable to your computer for the first time. The following methods apply to Windows 10, Windows 8, Windows 7, Windows Vista and Windows XP. The computer will do everything automatically! The first time you connect Android phone to your computer via USB cable. After waiting a few seconds, you will see a window that notifies you to install USB drivers. You need to be a little patience because the computer will download USB driver from online and this takes a few minutes to complete. If the process goes well, then you can see the device name on File Explorer. What to do when the computer does not recognize the device and therefore does not install the USB driver? This could occur in the event of a malfunction of USB connection, given by a defective cable or a hardware problem. In this case, I recommend you to try a new USB cable and verify that the port of your phone is clean and no visible damages. 1. Search on Google: <device name> usb driver. This is the quickest method to locate the right driver. 2. Visit the support page of your manufacturer and find the driver inside. 3. Please Download Android Developers OEM drivers from here, which has the list of all of the major manufacturer's drivers. If these drivers are not installed automatically, instead you have to arrange for manually and I explain how in below. Step 1: Plug your Android phone into your PC via USB cable. From the desktop of your computer right-click on the icon "My Computer" or "This PC" and then select "MANAGE". Step 2: In the window that opens, find and click on the Universal Serial Bus controllers, and select all the drivers that are installed. If there is a selection of yellow color before or after the driver then download and install the USB drivers and connect the USB cable again. 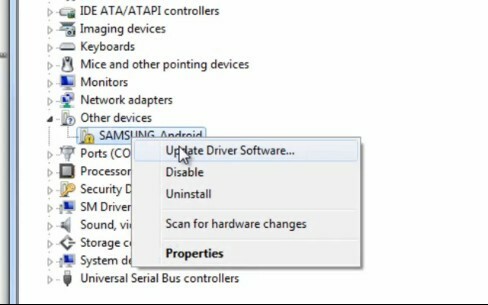 Step 3: If you notice any driver not installed, then select it with the right button and then click on "Update Driver". In the next step, they will be offered two options: "Search automatically updating drivers" or "Select a driver from your computer". If you have no idea where they placed the drivers on your PC, choose the automatic solution. 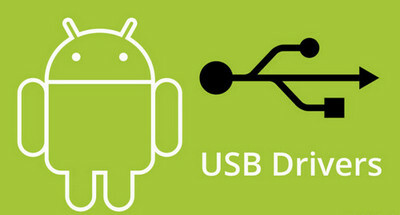 Step 4: Once the driver update is found will be automatically installed and you can try again to connect your Android device via USB to your PC to manage data.